It’s almost that time of year again; countless families will be packing up for warmer destinations for their family spring break vacations. However, there’s one family member you shouldn’t forget about in your travel plans: your pets. According to The American Pet Products Association, almost 85 million households have a pet. That’s a lot of cats and dogs that will need care during vacation time. One solution to your pet vacation problems? Give them vacations as well. Dog daycare or dog boarding services can be a great option for any time you’re going on an extended vacation. 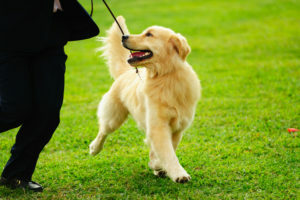 These services ensure that your dog is staying active and engaged while you’re gone, keeping them from sitting at home bored waiting for you to return. Dog daycare programs give your dog a place to run around and play, as well as meeting other local pets that can keep them company while you’re away. Additionally, giving your dog a chance to go on vacation keeps them out of the house, where they might get themselves into a surprising amount of trouble while you’re away. Nobody wants to come home from vacation to a mess they have to clean up. Doggy daycare services keep your pet out of trouble and perfectly happy while you’re away. When you’re going on vacation, you might think that your cat will be perfectly content hanging out at home. However, your cat can also benefit from pet boarding services as well. Even if your cat isn’t terribly social, cat boarding services will give your cat a chance to stay active and engaged in ways that they might not get to if they’re stuck at home alone. Additionally, cat boarding services ensure that your cat is safe and well taken care of while you’re away; no need to worry about them sneaking off to wander the neighborhood while you’re out. Cats, just like dogs, can get pampered and enjoy your vacation with the right pet care services. Want more information on scheduling pet boarding services while you’re on vacation? Contact Eastern Shore Pet Resort today to learn more. Can Cats Stay Home During Your Vacation? Revenues generated by the Eastern Shore Pet Resort help support the Brandywine Valley SPCA Animal Rescue Center’s (ARC) primary mission of animal rescue and rehabilitation services. Join Our Newsletter for Events and Special Offers!